Nana Addo Dankwa Akufo-Addo, the 2016 presidential candidate of the New Patriotic Party, has given students of the University of Development Studies (UDS), and, indeed, all students across the country, a glimpse of the transformation that will take place in Ghana when, God-willing and the people of Ghana consenting, he is elected President of the Republic in the 2016 election. Addressing a meeting of the Tertiary Students Confederacy (TESCON) on Thursday, September 17, at the Navrongo Campus of UDS, Nana Akufo-Addo noted that the period of his government will be marked by a major paradigm shift, where value addition activities in a transformed and a diversified modern economy will be the order of the day. The NPP flagbearer told the gathering that his government’s focus will be on the structural transformation of Ghana’s economy, “where industrial activity will be the main source of economic activity in our country”. 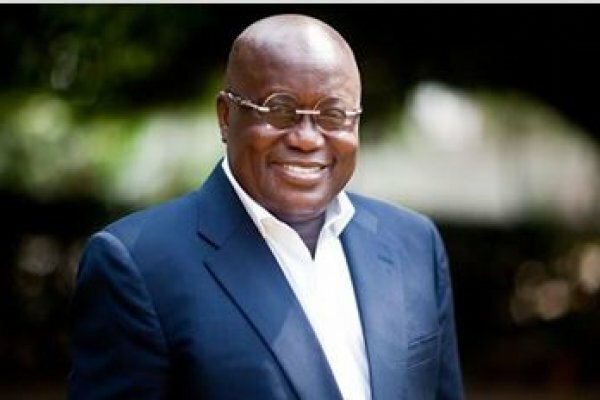 “Imagine a Ghana, where we have a modern agricultural economy, where we have year-long agriculture in all parts of the country, where we are an exporting country of foodstuffs to the rest of West Africa and Africa, and where 60 to 70% of our foreign receipts come from the export of industrial and agricultural products from Ghana,” Akufo-Addo said. The current state of a non-performing Ghana under the Mahama government, according to Nana Akufo-Addo, is one he believes the majority of Ghanaians are desperate to leave behind. “We want to leave behind this Ghana of non-performance, a Ghana that is sinking into the ground. Where there are no jobs for young people, where our farmers cannot work because they don’t have access to affordable inputs and fertilizers, where our currency is unstable and traders cannot make any meaningful profit. We want to leave all that behind and move into a new Ghana that is working for all of us. That is what is ahead of us,” he noted. He urged the gathering, made up of lecturers and students, to trust and have confidence in him because the transformation he is seeking to make in Ghana “is possible”. Citing the example of Cote d’Ivoire, a country smaller in size and in population compared to Ghana, which had endured a bloody dispute in their last election, resulting in the loss and displacing of thousands of lives, but had, in a short period, turned around their fortunes, he said Ghana would regain its status as the Black Star of Africa under his administration. “We can do the same thing here in Ghana. That is the vision that I am asking you to buy into,” he added. However, before this can become reality, the NPP would have to win power in 2016. He, therefore, asked for the concrete support of the students. “We are going to have a different calibre of polling station agents. You are going to be the people we are going to conscript for that task,” he stressed. “Are you ready for that?” he asked, to which the students roared “Yes”.